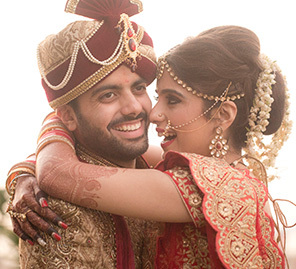 Shreya hails from Kashipur in Nainital, so she and Aayush wed at the charming Wood Castle Spa & Resort in the Jim Corbett National Park near her hometown. 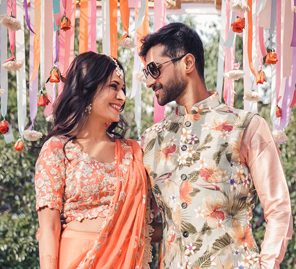 Shreya and Aayush's nuptials at a charming eco-friendly resort in Nainital fused small-town warmth with big-city elegance. 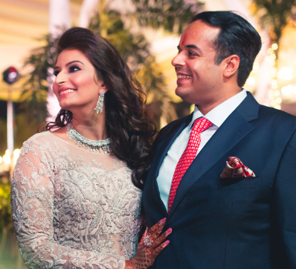 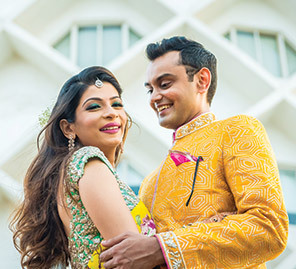 Here, bride Shreya shares all that went into the planning of her wedding, including last-minute changes to her wedding invites that were designed by WeddingSutra Favorite - Turmeric Ink.